Egypt’s and the Middle East are much in the news. I often think that understanding the literature of a country is helpful in understanding the state of mind of its population or at least that proportion of the population who read . In this context, I was very interested in Professor Hanaa by Reem Bassiouney, originally published in Arabic in 2008. It won the Sawiris Foundation Literary Prize for Young Writers, Egypt’s leading literary award, in 2009 and was also selected as the only novel to come out in Egypt’s “reading for all book” series in 2010. 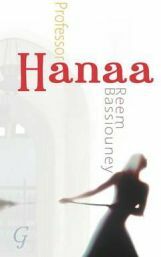 Reem Bassiouney is an academic specialising in sociolinguistics, and Professor Hanaa is a novel set in an Egyptian University. The lead character is a female academic working in a department dominated by men and on the verge of turning 40. She is experiencing a kind of mid-life crisis both professionally and personally. She finds herself on the verge of becoming a spinster, respected by her colleagues for her professionalism but also viewed as intimidating by most and with no friends or close family. She determines that she will lose her virginity, which she accomplishes very rapidly with the help of one of her students. She then has the opportunity to become the head of her department. The remainder of the book follows her as she tries to cope with the changes in her personal and professional life which result from these two events. We meet the members of her extended family and her colleagues in the University Department and see at firsthand how they behave and the values which underpin their lives. For a reader with a typical Western liberal perspective, reading Professor Hanaa is like entering a bygone age. The book is principally concerned with the relationship between the sexes in the context of Egyptian society. On one hand, there is a desire to be modern and to promote female equality. On the other hand, there are strong traditional values which continue to exist and to dominate most people’s lives. The role of the woman is to obey the man, at least in public, and on the whole traditional values continue to dominate while lip service is paid to modernisation. In addition to this conflict between the genders, other related conflicts are highlighted — religious and secular, Western and Eastern. In reading Professor Hanaa I felt I gained an insight into life in Egypt and the conflicts which have underpinned recent political changes in the country. However, it was in some respects a frustrating book. The central relationship was, for me, fundamentally unconvincing, although I suspect that this reflects cultural differences and to an Arabic reader this problem might simply not exist. The repeated soul-searching by Professor Hanaa and her immature behaviour seemed out of place with her academic standing. So this is a book which I am glad to have read, and I think I understand the current situation in Egypt a little better as a result. However, I do not think I would rush back to read it again. No Comments on "Professor Hanaa"